I appreciate and respect the art of tattooing on myself and on others. Do I enjoy the pain that comes with getting tattooed? No, but I think it’s an integral part of the process, to come out on the other end having endured the discomfort. Perhaps one day I will be completely covered with a collection of memento’s both significant and superficial. 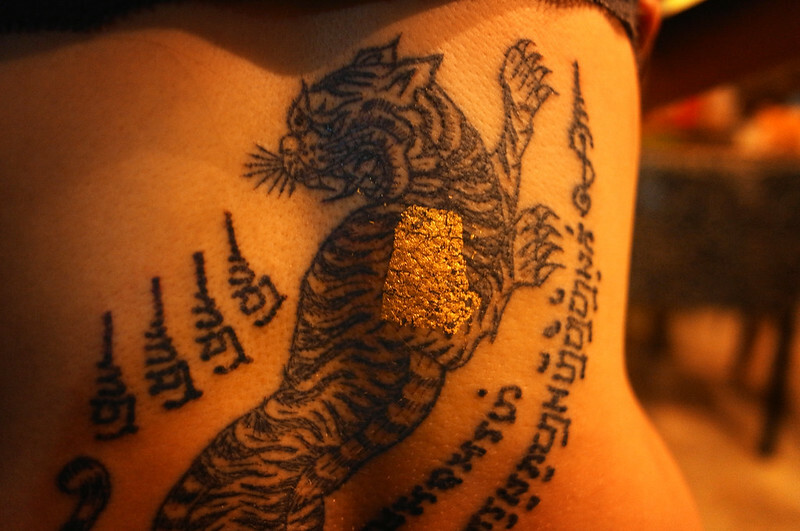 My friend Claire recently got tattooed by monks who specialize in these protective omens. There’s a lot of magic here and I am wary to get one myself.